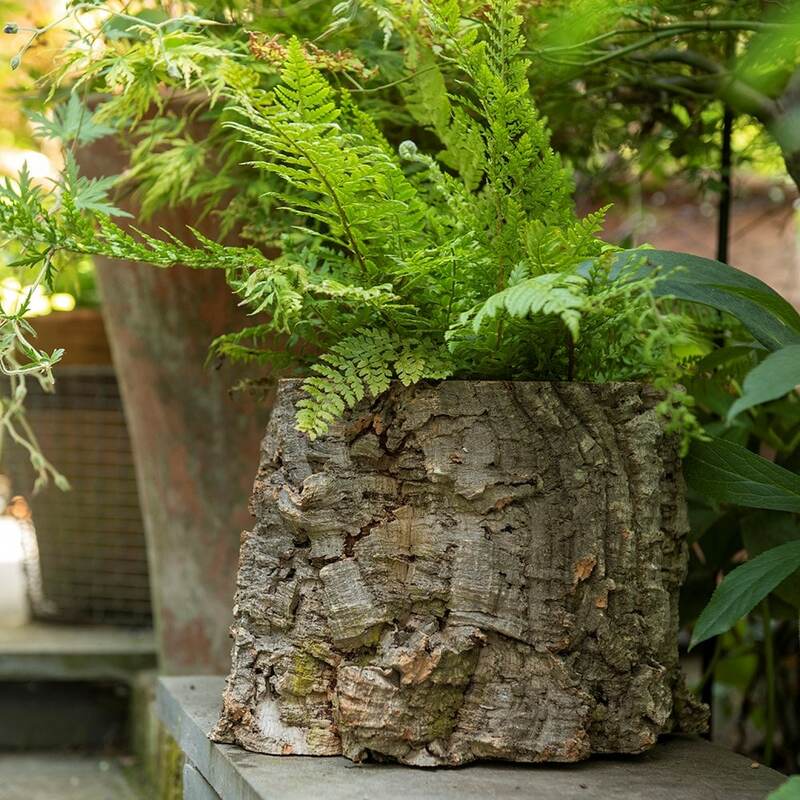 These unique flower pots are made from cork bark which is very environmentally friendly. 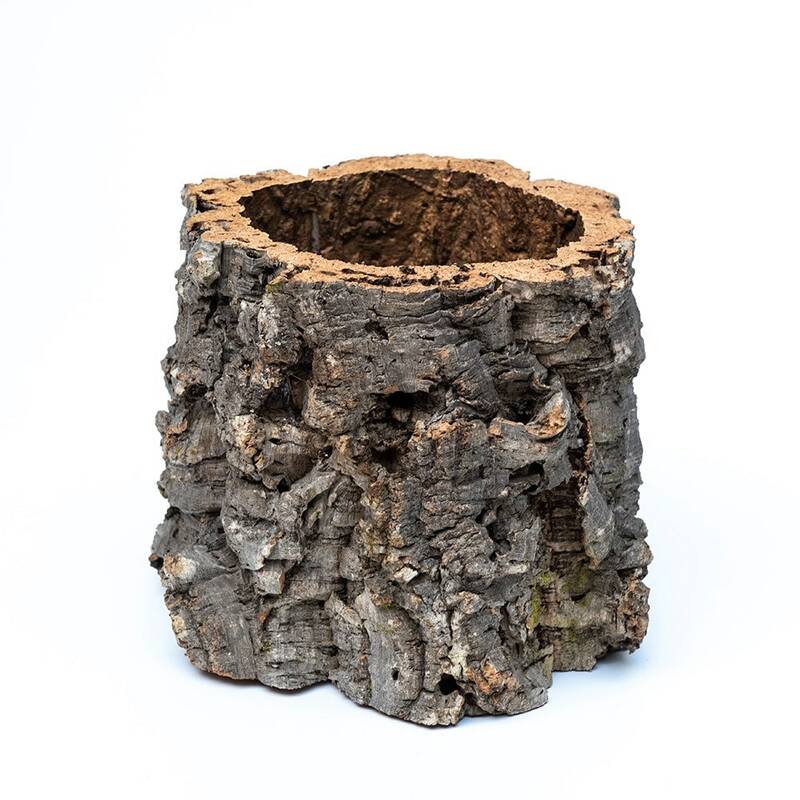 Once cork oak trees are approx 25 years old the old bark is stripped from their trunks every nine years and the trees continue to live and grow. 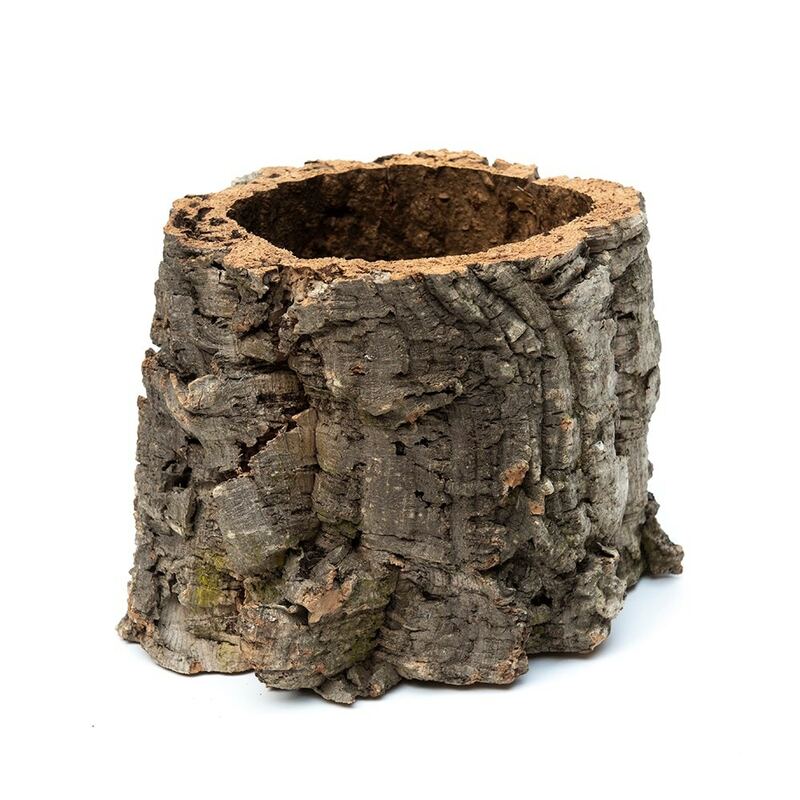 It is this old bark that is used to produce many beautiful products such as these cork pots. 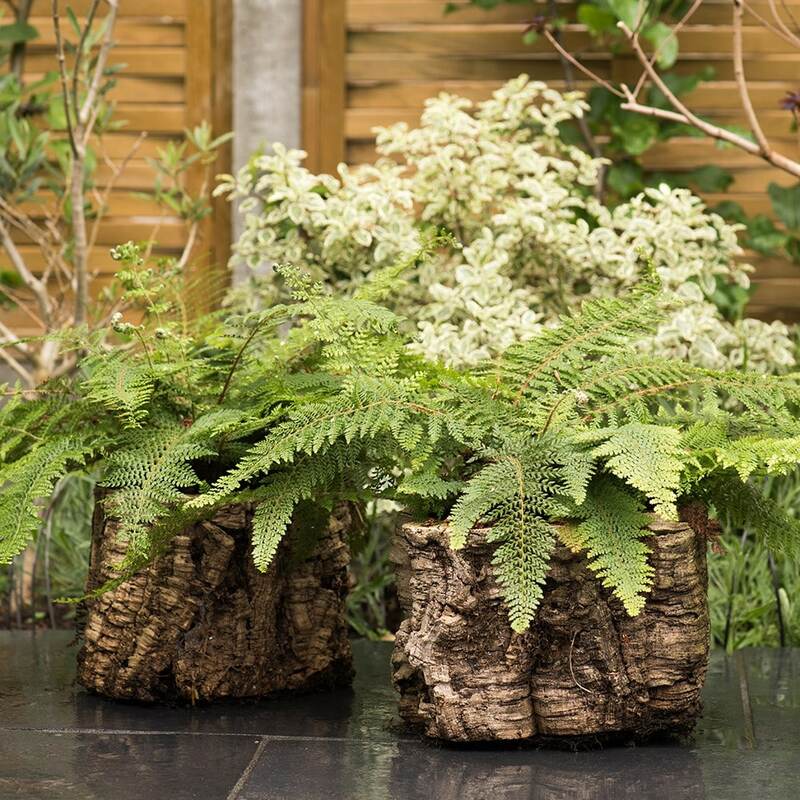 These flower pots are full of character and will be great for snowdrops or bluebells as well as adding a woodland feel to the garden. 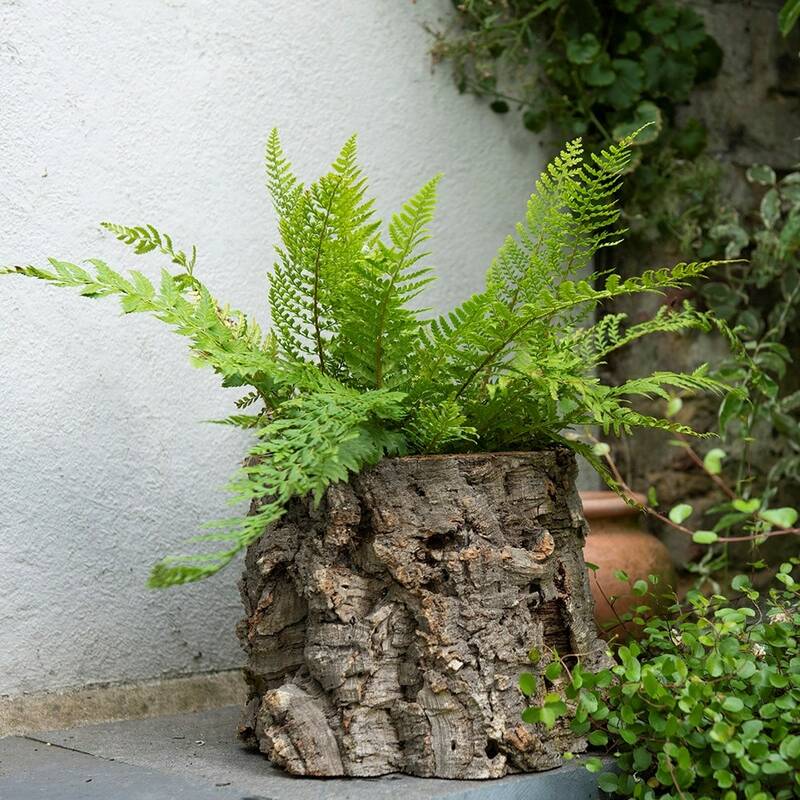 Please note: fern is not included. N.B. Due to the handmade nature of this product, the measurements above are intended only as an approximate guide and may not be exact.